Miss California USA Nicole Johnson and Miss California Teen USA Emma Baker will visit with pediatric patients at Mattel Children’s Hospital UCLA tomorrow to bring smiles to the young patients and deliver tiaras for the girls and toys for the boys provided by Mattel, Inc.
As the reigning winners of Miss California and Miss California Teen competitions, Johnson and Baker are dedicated to volunteering their time in the community to help improve the lives of others. They are strong believers in the importance of giving back and thrilled to be spending time with the young patients at UCLA. 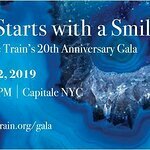 The special event is being arranged by Mattel Inc. and The Reality Cares Foundation. A long-time partner of Mattel Children’s Hospital UCLA, Mattel Inc., has donated more than $30 million dollars, as well as thousands of toys and volunteer hours through the years to help make a meaningful difference in the lives of children in need. 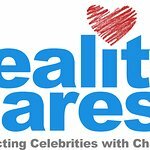 The Reality Cares Foundation is a national organization that has been helping celebrities give back and raise money for non-profits for more than six years. The visit will take place at 11am on Friday, March 12, at the Mattel Children’s Hospital UCLA, 757 Westwood Plaza, LA.